More architectural projection, this time it's TRON Legacy at London's Southbank Centre! Until the 2nd December the Queen Elizabeth Hall is being used as a canvass for a TRON Legacy projection display which will be soundtracked using the music from the Daft Punk TRON Legacy soundtrack. 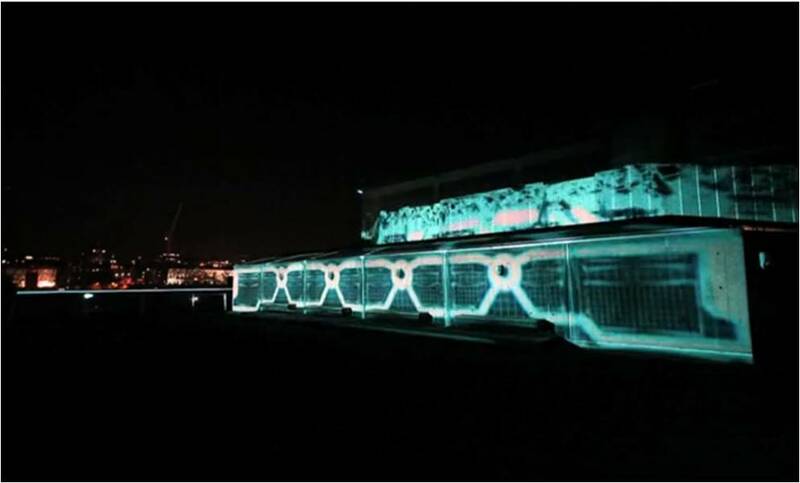 TRON: Legacy Projection Mapping trailer - Southbank London . There is also a re-creation of Flynn’s Arcade inside which includes the original TRON arcade game, the model Light Cycle, the TRON: Evolution video game and an HP Demo area with new HP ePrint Technology that can be used to print the photos taken at the event directly via email.